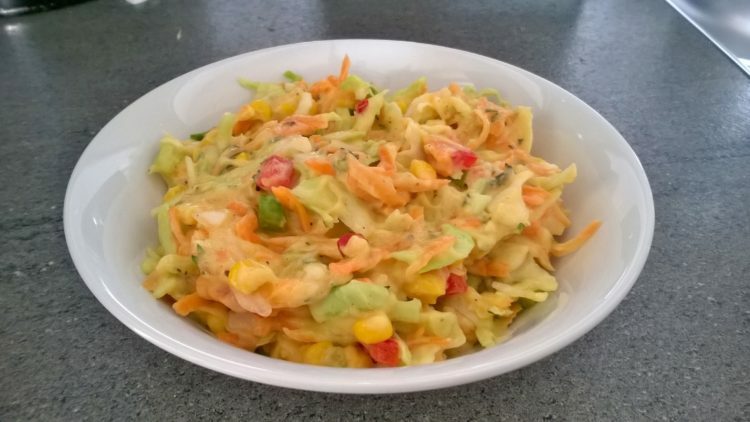 1 Place the cabbage, carrots, spring onions, shallot, red and green peppers and sweetcorn in a bowl then mix. 2 Then add the vegan mayo and mix well and more if needed. 3 Then add the cracked black pepper and the thyme and give it a good mix. 4 Then place in the fridge for 30 mins before serving (optional).